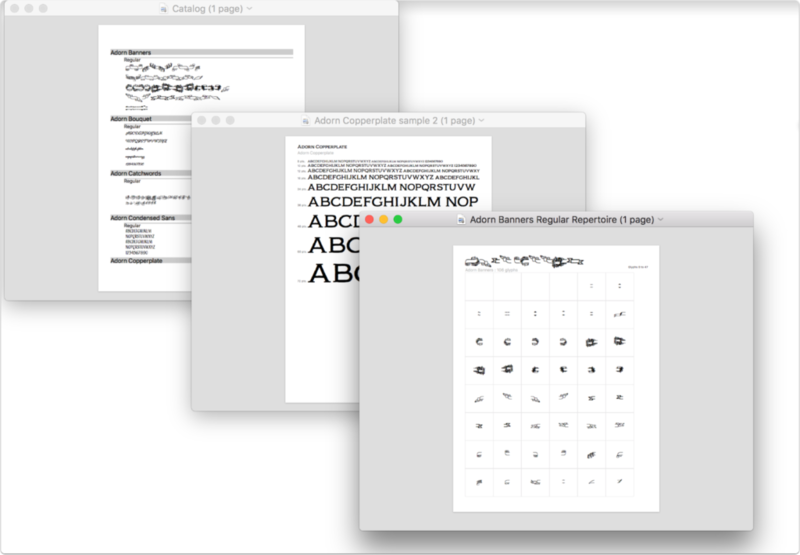 Looking for a way to keep an eye on your growing font collection on your Mac, or need to print a font catalog for your customers to choose from? There are a number of ways to do this and chances are you can find what you need from one of the four free options I outline below. Font Book’s built-in report printing. Nestled under the print command in Font Book are 3 different report types you can use to sample one, all, or any subset of your installed fonts. Whether you need a sample of multiple fonts, a traditional waterfall chart or a glyph map, Font Book has you covered. Instructions on that are here. 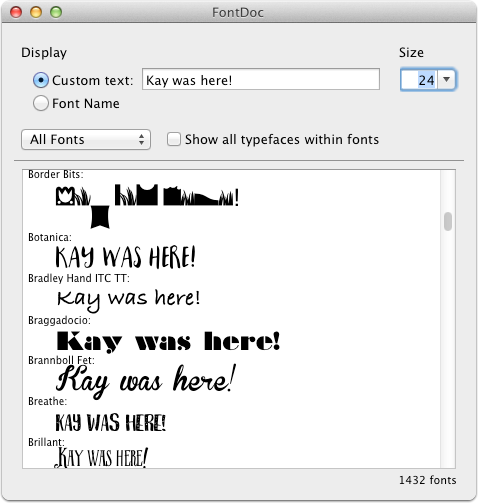 A script called “Create Font Sample” that shipped with your Mac. This well-kept-secret solution is a bit clunky but the nice thing is you end up with a fully editable word processing document you can modify to your needs. Instructions on this are here. Web-based font viewers including myfontbook.com, wordmark.it, flippingtypical.com and others. Generally, these are better for getting a quick visual than for printing purposes, but are super easy to use. 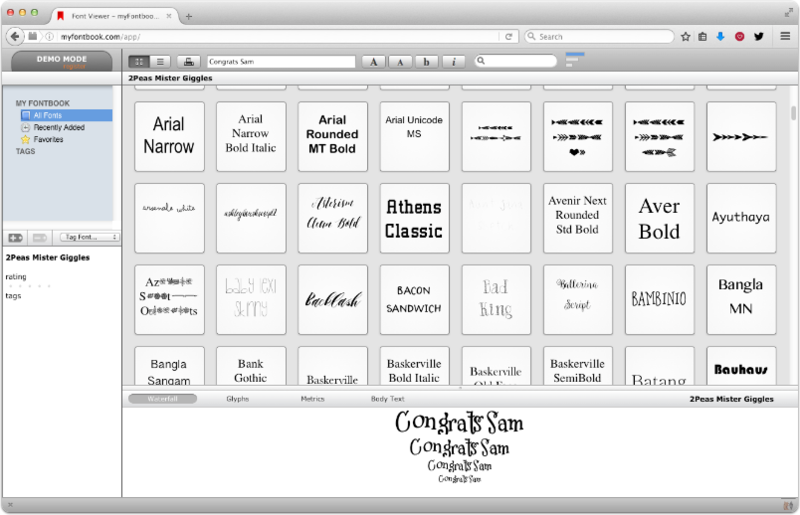 They include the ability to view a custom phrase in each font, and some include glyph maps and other features. There’s nothing to install, so you can visit the one that works best for the particular project you are doing. 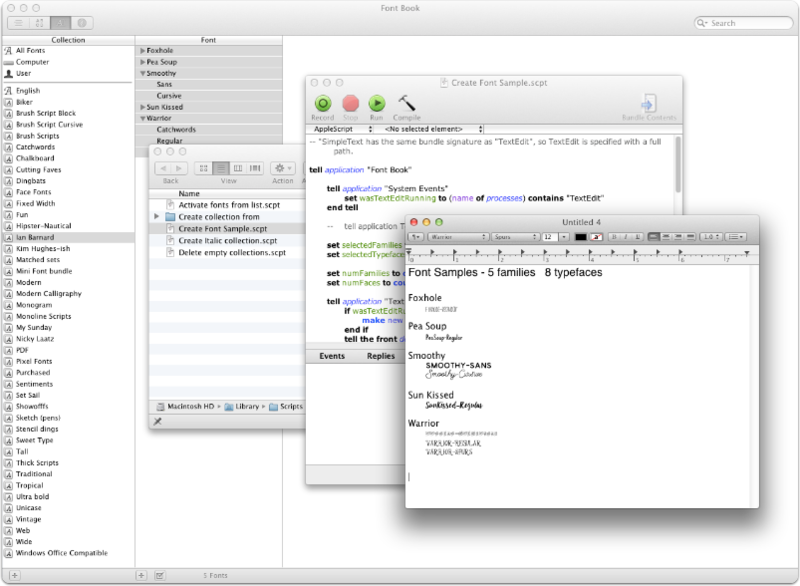 FontDoc, a spiffy little freeware program made for this purpose. With this oldie but goodie, you can sample all your fonts, a category (set up in Font Book) of fonts or even a folder of fonts. This is the only option that lets you sample uninstalled fonts. As with the second option, FontDoc lets you save your results as .rtf (a universal word processing format), which you can then edit in the word processing or page layout program of your choice. Pro tip: You can “print to PDF” from any of these tools (File>Print>PDF>Save as PDF) and the PDF’s generated will open as vectors in Silhouette Studio Designer Edition or Business Edition. 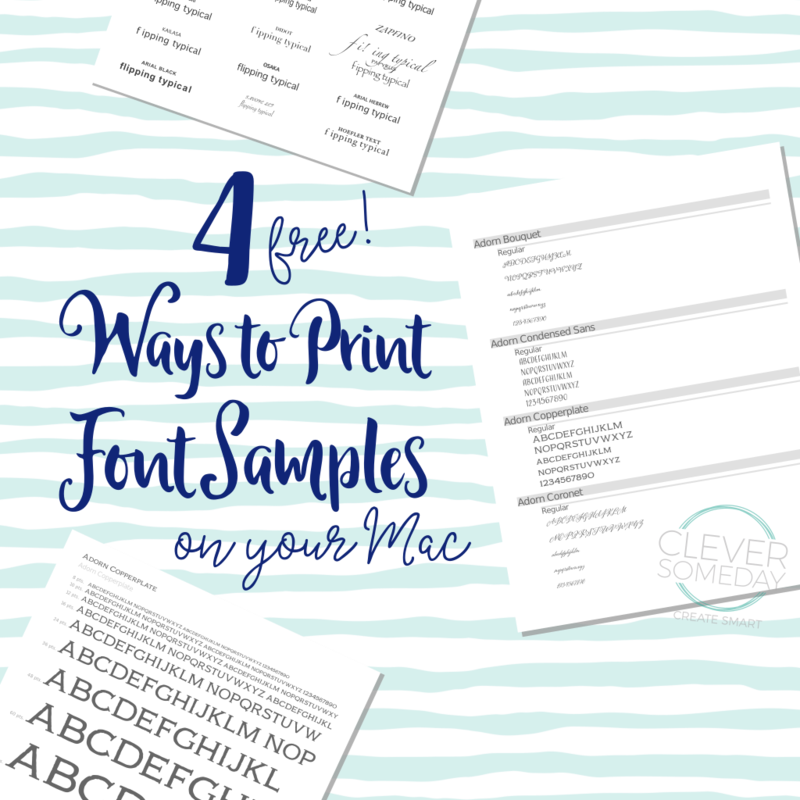 Want to print font samples on a PC? See this post from my friend Christine over at her great blog Cutting for Business. For another cool built in Mac font viewing technique, see this (much) earlier post of mine. If you like my posts, please Pin or Tweet, and share them in groups and forums you are in. For this post in particular, you can help me by sharing it in Mac or font related groups. Thanks so much! When you say it will open up as a vector in designer and business edition. Does this mean better quality when you save as a pdf? I still have the dreaded grid sometimes show up. Not sure why. So I usually go to print preview like you suggest and save from there. Just wondering the need to upgrade. If this would solve my saving issues. Then I might do it! No, while Silh Studio DE can *import* a vector PDF, it will not *export* a vector PDF. Two entirely different things. You will still need to follow these steps for best bitmap output results http://cleversomeday.wordpress.com/ssprintables from any version of Silhouette Studio. Thank you so much for all the help with fonts on the Mac! What a great help all your information will be!